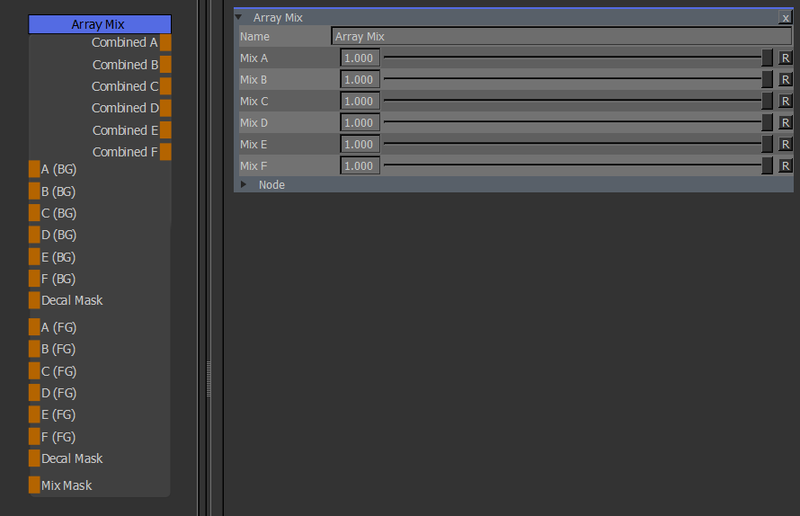 The Array Mix Node allows you to mix the Outputs from two different Array Nodes. The combined Output from each BG + FG Port. The Mix Sliders act like an Opacity for the FG Connections in the Nodegraph. When a Mix Mask is attached in the Nodegraph the Sliders act like Multipliers on the Mask.